Why over pay? This is one of the best values around. The Ford Focus is a small car that offers a number of features otherwise seen in larger or more luxurious cars.. Rest assured when purchasing this vehicle. CarFax Title History report is included. It has had only one previous owner, is accident free and comes with a CarFax Buy Back Guarantee. Some things are too hard to pass up. Experience true comfort with leather seats. You better not buy until you see this Focus. A perfect cold weather sedan featuring heated seats. 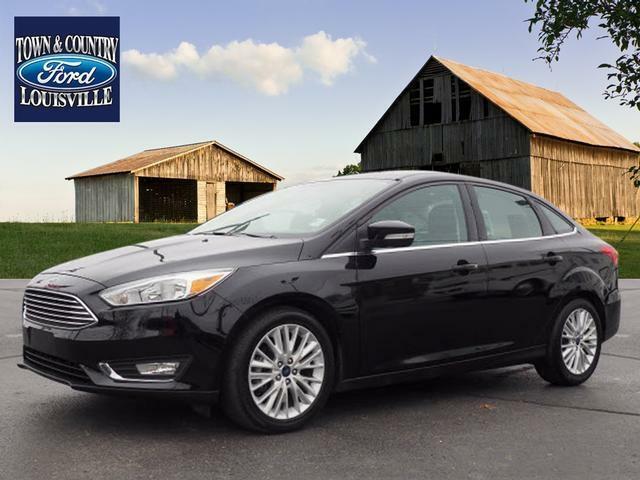 You'll also love this 2018 Focus's a money-saving EPA estimated fuel rating of 28 MPG combined, backup camera, power mirrors, keyless entry and premium sound system.